Some of you guys may have seen that one already, but I guess most of you not. 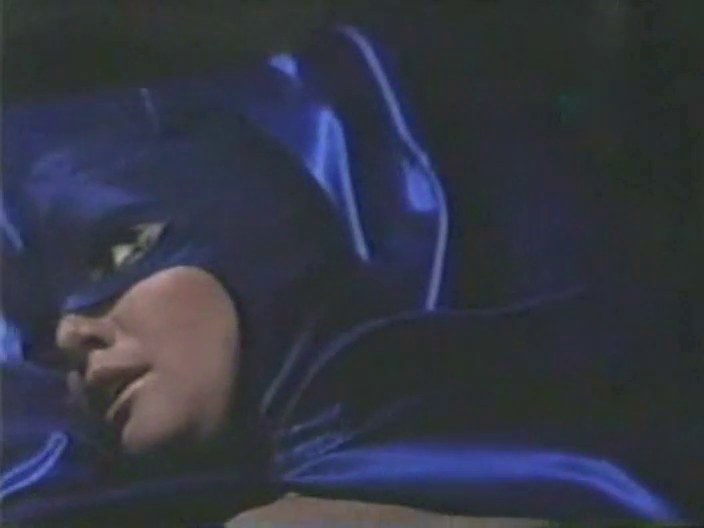 So here it is, the Batwoman from mexico. She sneaks on a ship, but the evil doctor already awaits her… can she escape? Can she protect her secret identity? Or will she be unmasked? …but it was a trap! Pretty…. unusual costume with a nice mask/cowl! There is no english dubbed version of this movie, only english subtitles are available. But sadly …I couldn’t get them into this clip.